Riello Burners – For the past few decades, Riello burners have always been some of the most impressive burners in the Ireland and the UK. They are designed to be efficient, reliable and at the same time you do have lots of options. 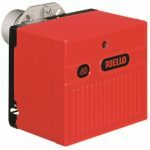 When you are considering a Riello burner, you will notice that the company has quite a lot of models. You have low nox models, dual fuel, oil or gas burners. This way you won’t have to worry about finding the best burner to suit your needs, Riello Burners have a variety of options to suit a variety of needs and circumstance. All of these Riello burner models are really easy to use and the overall quality can deliver great results. The Riello burners are great because they can range anywhere from 10kw to 30mw. So yes, it doesn’t matter how much power you want from the Riello burners, you will always find the right model to suit your needs. All the Riello burners are very durable and will last for a very very long time. They are created with durability in mind, and that alone makes them very desirable. The last thing you want is to have a burner that doesn’t work the way you want, fails to meet your needs, is unreliable and needs replacing a few years after purchase. Thankfully, the Riello burner is a brand and has a product range that you can rely on and rely on for a long time after purchase. It doesn’t matter if you want a burner for intense commercial applications or smaller environments. The Riello burners have got you covered. The team at NT Heating & Plumbing have delivered heating installation projects that will always be completed adequately and you can rely on Riello burners for as long as you may need. Complete our online appointment form, email info@BoilierRepairDublin.com or call direct: 01-5397223 – remember we are nationwide, fully insured, certified and qualified.